There are so many people in the world who, for one reason or another are not able to enjoy the season, that it is important to acknowledge how lucky we are if we have people who love us around, enough food to eat and the luxury of living in peace …..
Meeting with friends and enjoying good food is one of my favorite things all year round and this week was no exception. 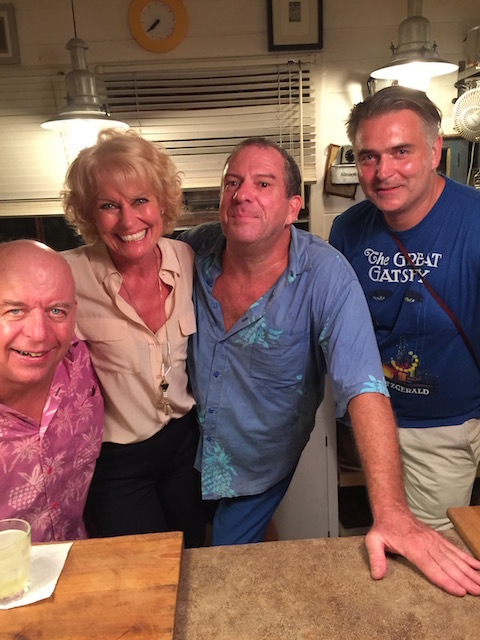 Another great evening on Cupid’s Cay with Dan and Larry as the perfect hosts – a delicious chicken chipotle casserole with beautiful fresh salad followed by an amazing selection of home baked cookies – the shortbread is always my favorite. Joel – Bob’s elder son was also on a fleeting visit to Eleuthera and shared the hospitality of the Cay’s greatest hosts. A great night with Larry Wilhelm, Me, Dan Blow and Joel Colman – Bob’s elder son here on a short visit. When we were children I remember the excitement of ‘special’ biscuits as we call them in the UK at Christmas – and shortbread was my favorite then. Oh yes – over here with this mince pies please…. The other English Christmas delicacy I still love to make myself are mince pies. Here is how to make them. 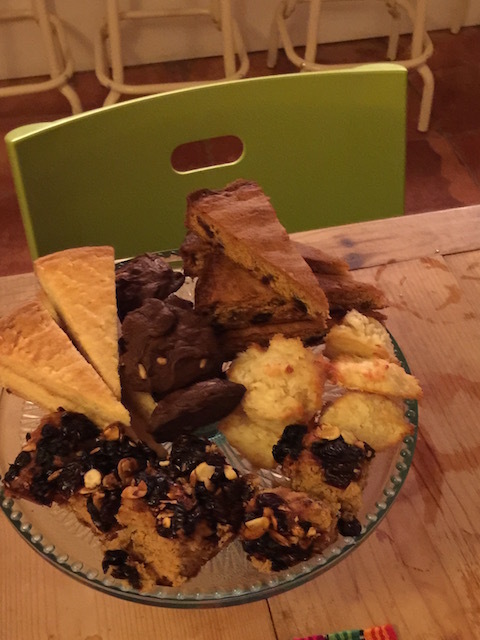 Get some ready made shortcrust pastry – from Burrows if you live in Eleuthera – roll it out pretty thinly and then cut rounds with a cookie cutter to fit a mini muffin pan – the ones I have are 12 to a tin so pretty small. After greasing the muffin pan lightly press the pastry rounds into the tin. Take a jar of Robertson’s mince meat ( it is a mix of dried fruit and a sort of syrup) and empty it into a bowl. Grate the zest of a whole orange into it and a slug of Grand Marnier or Cointreau – I find the orange flavor cuts through a lot of the sweetness. Mix well and then spoon a small amount into each pastry case. Then lightly press on a smaller size lid and bake for about 20 minutes in a warm oven. Take out when they are lightly golden – allow to cool then dust lightly with powdered sugar. Eat while warm and try to stop after 2 !! My maternal grandparents used to come and stay with us over Christmas when we were young and as my Grampy was a chef, Christmas food was always wonderful. His party piece was to baste the turkey and potatoes with a cupped hand !!!!! We used to always be saying to him throughout Christmas morning – shall we do the turkey again ? I knew I liked it better in the Bahamas ! 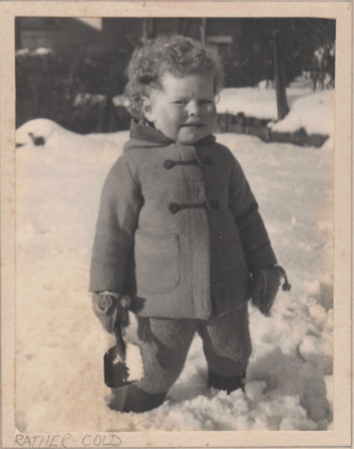 I realized at an early age I wasn’t built for wintering in England …. 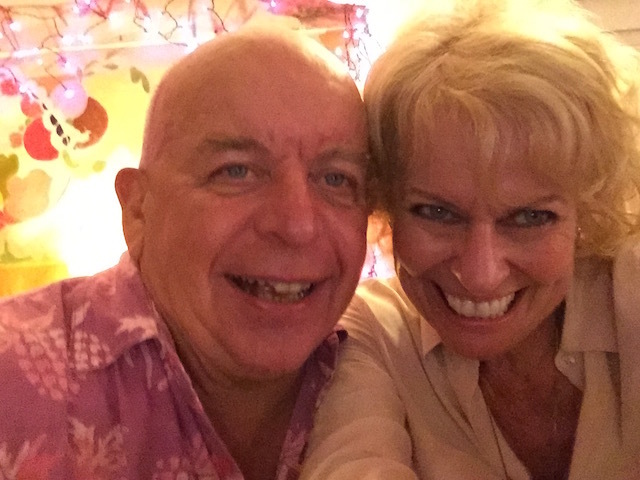 So I hope that Christmas brings back some happy memories for you – and that you create new ones as well……. 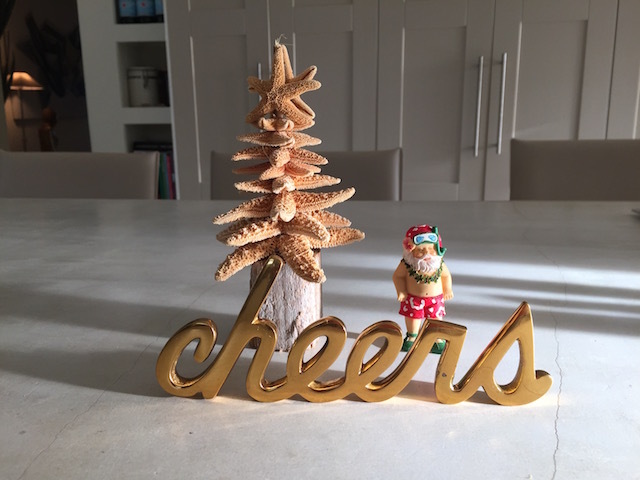 Bob and I wish you and your loved ones a very Merry Christmas or Happy Holidays – whichever you prefer……. To you, Bob, and the many cool folks Stuart and I met and hope to enjoy again, have a far out Christmas and may the new year bring no bummers! 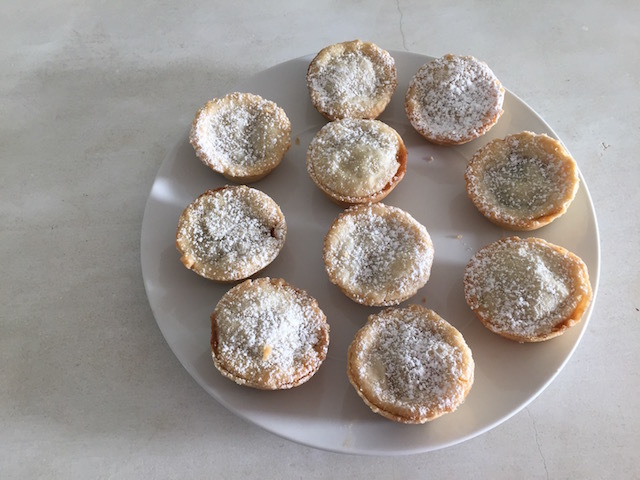 Thanks for the mini mince pie recipe. They were absolutely fabulous! “the woman in the black bikini” …Dan, Larry and his sister will know what that means! Merry Christmas ….. to the woman in Black ! and her man…..
Merry Christmas to you and bob and jojo.